Blackview Mate Now In The Philippines, A 5 Inch HD Marshmallow Phone For 3399 Pesos! Home / blackview / mobile / news / Blackview Mate Now In The Philippines, A 5 Inch HD Marshmallow Phone For 3399 Pesos! Silently, Blackview just bought some of their latest handset here in the Philippines. One of them is the Blackview Mate, a metal framed looking with "Rose Gold" color and runs with Android 6.0 Marshmallow OS. Donning the popular "Huawei Mate" moniker, we thought that this would be "phablet sized" handset. Instead the Blackview Mate only features a smaller 5 inch HD IPS screen with 1280 x 720 resolution at 294 ppi. Under the hood, it comes with an unknown type of 1.3 GHz quad core processor, 1 GB RAM, 8 GB expandable storage up to 32 GB, 13 MP main camera, and 5 MP selfie camera. It also has 3G and GPS connectivity. However, it the battery capacity and other details remains to be a mystery for now. 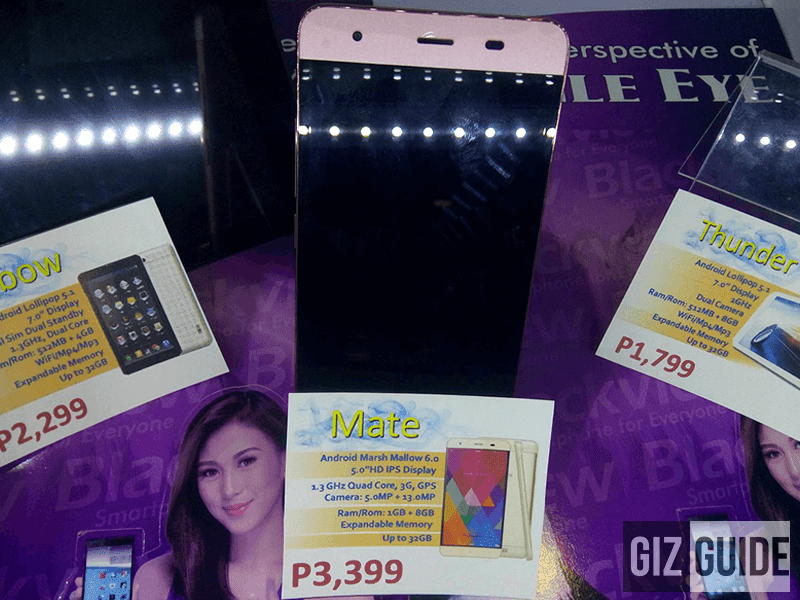 The Blackview Mate was spotted at the Fisher Mall with an SRP of 3,399 Pesos only. That's pretty affordable considering its looks and latest type of OS.